Book Summary: "I might be Cinderella today, but I dread who they'll think I am tomorrow. I guess it depends on what I do next." This story follows the romance of Kate Middleton and Prince William Rebecca "Bex" Porter and the heir to the throne, Prince Nicolas of Wales. 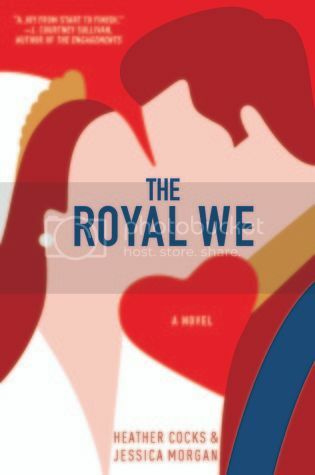 There is drama, moments of humor, paparazzi, and what life is like when you become engaged to a member of the royal family especially the heir to the throne. The difference between Kate Middleton and Bex Porter is the latter is an American. This book seems a bit more like an autobiography written by Bex in order to set the real story straight about her first encounter with the prince to the ultimate "Wedding of the century". Perhaps this was why there was much more liberties with the usage of more American terms rather than those of proper Queen's English. When I first saw this book out at my local Barnes and Noble, I was excited about it because I have always been fascinated by the royals ever since the late Princess Diana first stepped out in her glass carriage at the steps of St. Paul's Cathedral. I watched Prince William grow up from being called "William the Terrible" to the charming young man he is now. I thought this book would be a fantastic read and one I would love to death. How I was a bit wrong. The characters as well as the romance between Nick and Bex fell a bit flat. They seemed to be moving through the story without evolving as characters in personalities. The plot itself was slow and almost non-moving. I felt like I was watching more of drunken frat party world rather than a royal romance. It felt boring to the point that I nearly put the book down and walked away for the final time but I wanted to give the book a try to the very end. I think I am going to hand this book to my niece. She might enjoy the whole "royal romance" thing better than I did..